In the modern urban living, a well designed and planned patio is getting very got damn trendy. More and more people are showing their interest. And same is the case with our wooden pallet recycling. This has literally become the hot topic in the limelight in all art loving segments of the society. More and more people want to learn it now quite contradictory to the past times when people were not at all ready to take it seriously. 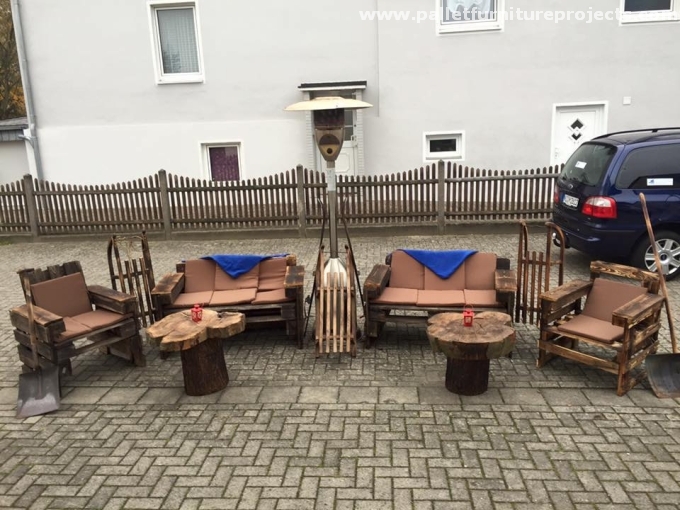 So for your comfort, we are bringing here a rustic and cozy pallet patio furniture set. This wooden furniture has always been a source of headache for me, not because its design or something like that, but because of the sky high prices we pay against them. And still we do not get exactly what we want. A cozy furniture set that is well designed and built is something always desirable. Who on earth would deny its importance. So just imagine that all of your issues are just fixed by this blessing called pallet recycling. 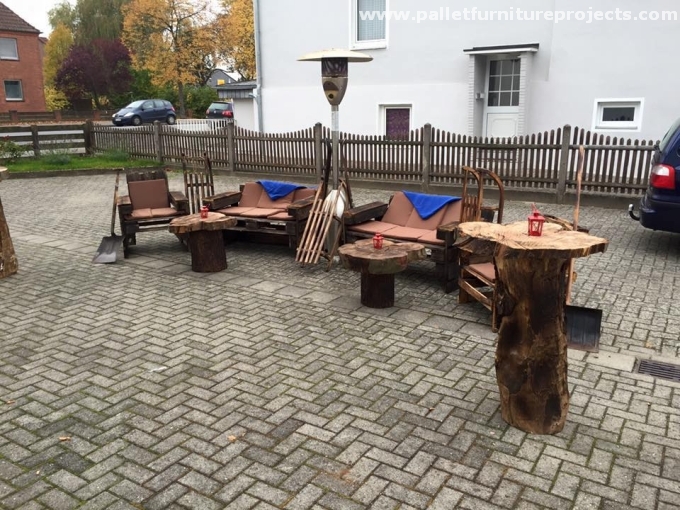 This rustic and cozy pallet patio furniture set is all made using the same wood pallet planks that are the main theme of our website. Just have a look on this rough five seated grand sofa set along with centre tables and side tables as well. The sofas are a bit designed conventionally whereas the tables are immensely insane apparently, yet they are quite appealing. 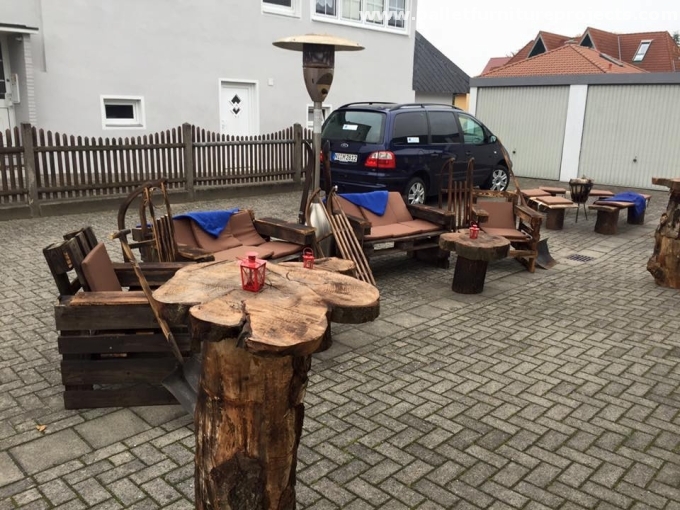 Wooden debarked pieces are just put on the tree roots making them look like a full fledge wooden table. Their rough and wild look is going to make your patio more lively and exciting. This patio furniture set would immediately grab the intention and the utility offered by them has no match simply.